Duisburg is a German city in the western part of the Ruhr Area (Ruhrgebiet) in North Rhine-Westphalia. It is an independent metropolitan borough within Regierungsbezirk Dusseldorf. 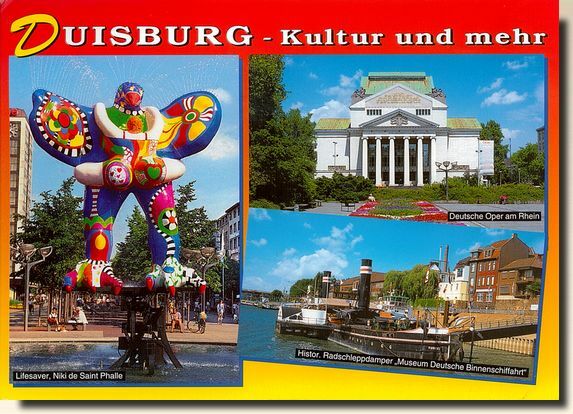 With the world's biggest inland harbour and its proximity to Dusseldorf International Airport, Duisburg has become an important venue for commerce and steel production.